Sunny Jha ('18), University of Southern California and Quyen Chu ('18), . Meet two changemakers who share a commitment to advancing medical standards in developing countries. 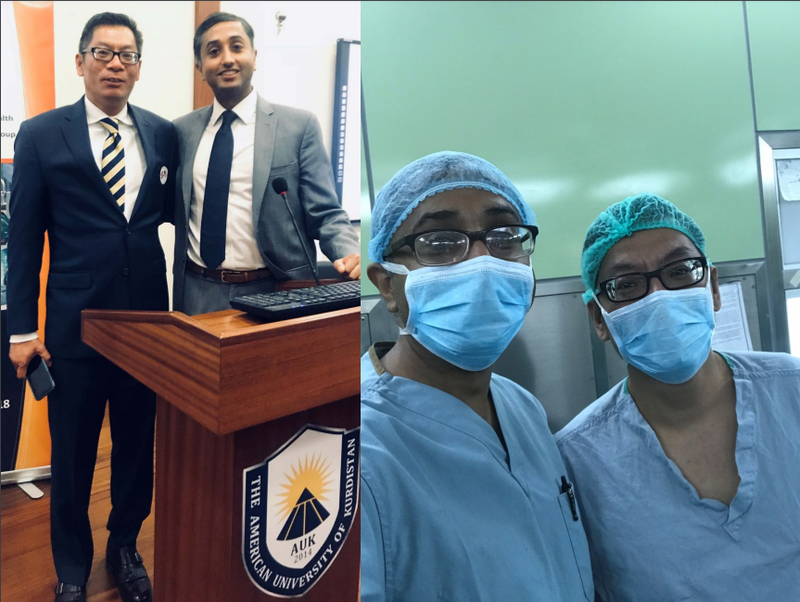 Quyen and Sunny in Kurdistan, where they participated in a medical research conference and spent time in medical facilities. Quyen, Sunny, and their team at the American University of Kurdistan. Sunny speaks with a child at Domiz Syrian Refugee Camp. This is one example of how Scholars are continuing to work together, applying lessons learned from the program, and making an impact in their communities and across the world. The four classes of Presidential Leadership Scholars will meet in D.C. at the Annual Meeting this week. To learn more, visit www.presidentialleadershipscholars.org. For updates about the Presidential Leadership Scholars, use #PLScholars or follow @PLSprogram on Twitter.